Speed dating is a formal matchmaking process taking less time to browse. One can opt for speed dating emails that deliver your probable dates in your email box. With complete profiles and photographs listed on the dating site, the requirements are matched with those of the other listed patrons. What matches your requirement is what is sent to your mailbox for you to decide whether you want to date him or her. 1. Don’t ask questions with imaginary situations like ‘What will you do if you were stranded on an island?’ This question reveals nothing about the personality of the person unless you are deep psychic. 2. Never ask ‘what is your favorite anything’. Nobody really has a favorite and nobody really cares. 3. Don’t ask obvious details that are already listed in their profile like name, where you reside, what you do and what are your interest or hobbies are. It shows that you did not read the profile and are not serious about dating. 4. Don’t ask questions that can be answered in a yes or a no. Let the person speak up so you know the conversational skills of the person. Ask only those questions that are relevant for you to understand the person’s temperament. Don’t ask baseless, irrelevant questions or information that is already listed about him/her. Be smart and ask questions that will reveal the person’s nature and temperament in the shortest time possible. However, don’t also be too quick to dismiss someone based on the responses. It’s possible that the responses are rapidly fired and answers are equally of the same without much thought. Speed dating really is a way to break the ice and initiates the first impressions of a meeting and you decide whether you both mutually want to take it further. Dr. Phil recently appeared on Thursday 15th November 2012 on the ABC show ‘The View’ to talk about his recent book ‘Life Code’. The book is not sold on retail stores yet but is available online on selected outlets. I wanted to talk a little about the widespread problem faced by many new men and women in the area of dating. These are the issues faced by both men and women who find themselves being easily manipulated and scammed by partners. Dr Phil’s book tries to teach and inform people on how to see the tell-tale signs found in these groups of ‘players’. The simple seven ‘secrets’ revealed right at the beginning of the book can be correctly called the success mantra for a happy marriage. The wife simply has to follow these and it will become impossible for her husband to fall out of love even if he strives very hard to do so! Men are wired to believe it is un-macho to express their desire to be cared for but that is the male’s deepest desire to be treated like a baby especially after a long, tiring and stressful day. The wife who can understand this and expresses that extra care adds to the happiness in marriage. Being gifted with an inborn sense of caring and concern, her little actions like just heating up the food for him or simply holding his hand when he is watching that football match gives a sense of security to the husband who basically is wired to be the care giver and protector of the family. With changing times most women today do go out to work probably 50 hours a week while the husband is working from his studio at home. He has to understand that he cannot expect his wife to be a ‘do all’. This usually is the bone of contention and it is necessary for the husband to lower his expectations and be happy with a left over meal rather than expecting a hot, lavish dinner spread for him. If men can understand and accept this then sharing a life with a spouse is a real breeze. Men don’t believe in words but only actions. So every woman must understand that when he picks up the laundry from the cleaners on the way for you or fill gas in your car or even cook a meal for you, it is because he loves you and that is his way of expressing it. Running these silly errands for their wife is all out of love though he may never say ‘I love you’ with stars in his eyes! Don’t ever let your man feel incompetent. Gently tell him how to make a slight variation in the way he does stuff where you as a wife should be very specific. If you want him to get wheat bread, specify that in the shopping list. Just don’t tell him get bread as he will pick up the first loaf he sees and the moment he gets home, you will start cribbing which will lead to an argument. This will force him to keep away from household work and helping you. This will increase the burden on you and you as a wife will feel being taken advantage of. This book helps you to understand this and make married life more peaceful. Women keep this in mind, women have a mesmerizing effect on men so even when you are on a romantic holiday with him and his eyes follow the other women, do not get offended. It is just the way the brain is wired and he may not have any real intentions to offend you. Learn to accept your man and even if his eyes follow other woman, his brain and heart will follow only you. Every wife has her needs too. Once you understand your man and how his brain ticks, your actions and words of course will automatically convey to him what you expect. This book has correctly conveyed that the brains of men and women differ significantly. Women’s brains are wired to ‘feel’ while men brains are wired to ‘think’. Once this difference is understood, women can bring out the best in her man and make the marriage a happy one. 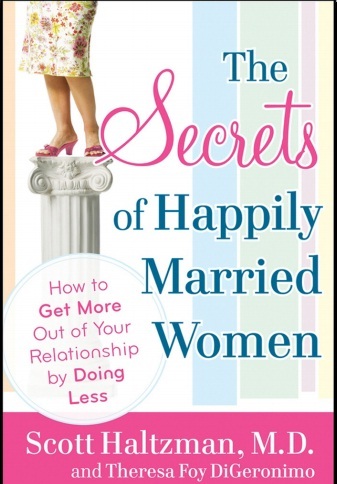 A fantastic piece of advice this book suggests for all wives to follow is ‘reward the behavior you like and ignore the ones you don’t’. Men love to be appreciated even for the insignificant stuff they do. If he compliments you, just give him a hug and kiss every time and he will start paying more attention to you. This is called ‘animal behavior’ which is an insight used by animal trainers. No offense meant of course but it is the wiring of the male brain and once this is understood, it becomes a simple matter to understand any relationships and make it work. The way men think as been put into words very well in this book that even men reading this will wonder how well the brain has been analyzed. Every wife or to be wife must read this book to understand her man and bring much happiness and contentment to her marriage. 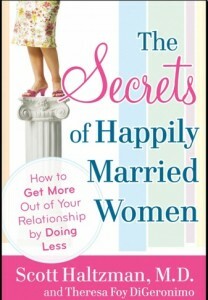 All women who want to have a successful, happy and contentful marriage must read this book with careful attention. Once you as a wife can understand your husband’s actions you can make the changes in your behavior and his behavior will change accordingly. Always remember men don’t believe in words but only in actions. Analyze his actions and you will instinctively know what hurts him or what makes him happy. With a calm and relaxed mind answer the quick quiz questions. This will definitely help you to get a better understanding of your man and improve your relationship tremendously. Nurture his need and both of you can live a life full of contentment. Every married person or the one who is going to get married must read this book to understand why men and women think differently. This will help each person to rationalize the partner’s action and help to be more understanding rather than obstinate. Every relationship is like a car on a journey which requires both the wheels to be in sync to move ahead. Secrets of Happily Married Women is a must read for all as it is a concise collection of notes and even the busiest woman can take out time to read this interesting book to improve her married life. Once she can decipher her man’s brains, it is simple for her to find ways and solutions for imbibing happiness and contentment in her marriage which is the ultimate goal. The book scores 4 out of 5 as it reveals the secrets of a happy marriage in a simple and succinct way that everyone can understand. 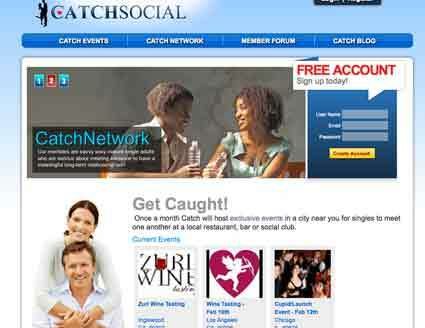 Catchsocial.com is trying to do what others have been trying to do for years and that is to organize events coupled to the online dating scene. The fact of the matter is that to do BOTH simultaneously takes real hard work and not many have succeeded. Take for example speed dating where entrepreneurs have tried to tie the online scene to the actual events hosted by them. I had previously reported in my article of one company who did a fairly good job on the brick and mortar of speed dating but failed miserably in their online system. Marrying the two ie. brick and mortar business with the online business is way too difficult, particularly if you don’t have the resources or capital. My motto, stick to one or the other, specialize in that niche market and then expand. Here is an interesting article that talks about how more people in particular men now choose to look for women who are not outrageously attractive. It goes on to say that the reasons for this is due to the greater chance of getting hits with women of less caliber in the beauty stakes. It makes a point where one man suggested that Angelina Jolie was physically repulsive to him. I think the truth of this story is that grown men, ie. mature men often look beyond the looks department since they are aware that personality is the biggest trait that they will have to live with and not just the looks.